John T. Booker Jr., 21, of Topeka, Kansas, pleaded guilty today to attempting to detonate a vehicle bomb on the Fort Riley military base in Manhattan, Kansas. Assistant Attorney General for National Security John P. Carlin and U.S. Attorney Barry Grissom of the District of Kansas made the announcement. Booker pleaded guilty before U.S. District Judge Carlos Murguia of the District of Kansas to one count of attempted use of a weapon of mass destruction and one count of attempted destruction of government property by fire or explosion. Sentencing will be scheduled at a later date. 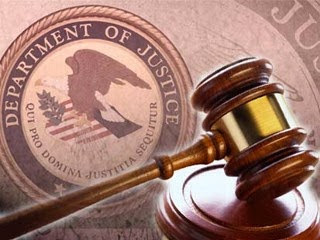 The parties have stipulated to a sentence of 30 years in federal prison. In his guilty plea, Booker admitted he intended to kill American soldiers and to assist ISIL’s fight against the United States. His plan called for constructing a bomb containing 1,000 pounds of ammonium nitrate. Booker intended to trigger the bomb himself and die in the process, and filmed a video he intended Americans to see after his death. In March 2015, Booker was introduced to another FBI informant who he believed would help him plan an attack. Booker said he wanted to detonate a suicide bomb because he couldn’t be captured, all the evidence would be destroyed, and he would be guaranteed to hit his target. On March 10, 2015, Booker made a video filmed at Freedom Park near Marshall Army Airfield at Fort Riley in which he pledged allegiance to Abu Bakr al Baghdadi, the leader of ISIL. That month, he rented a storage unit in Topeka where the bomb would be assembled. The investigation was conducted by the FBI Joint Terrorism Task Force. The case is being prosecuted by Assistant U.S. Attorney Tony Mattivi and David Smith of the District of Kansas, and Trial Attorneys Josh Parecki and Rebecca Magnone of the National Security Division’s Counterterrorism Section.